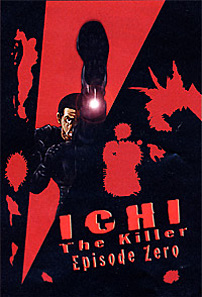 The mind-shattering prequel to the hit cult thriller, Ichi the Killer! A masochistic mobster meets his match in the dark streets of Tokyo. His nemesis, Ichi, is a psychopathic killer with an unrelenting thirst for bloodshed. A horrifying secret burns in his mind, and his hands deal death without mercy. At last, the shrouds of mystery are parted to reveal the origin of the monster. The city will know its greatest fear at the unveiling of Ichi the Killer!